Maifest is a traditional German Festival marking the end of the long dark winter and the beginning of warm weather and springtime. It’s a time of reawakening and joy! Best of all, it’s a fun reason to have a party. The day begins with the hoisting of the maibaum and continues with music, dancing and of course beer consumption. 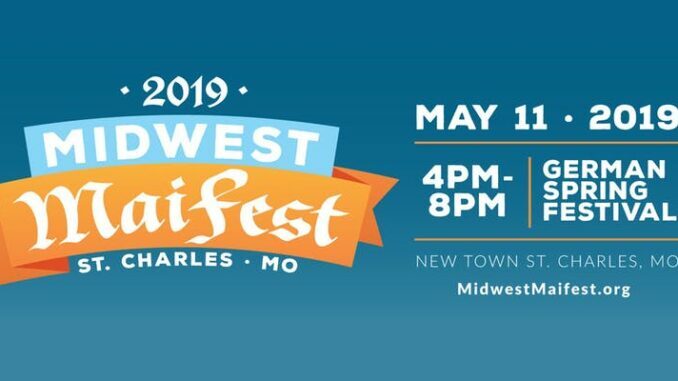 Locally, St. Charles Sister Cities is the host for Midwest Maifest. Sister Cities facilitates educational, cultural and economic exchanges between her sister cities. Maifest is a fundraiser for these exchanges. Wrist tickets (21+) for Maifest will go on sale via Eventbrite, starting price $20. This year, Maifest is included in a BrewHop STL Tour! Check them out on Facebook and Twitter.